the fastest-growing demographic among social networks. 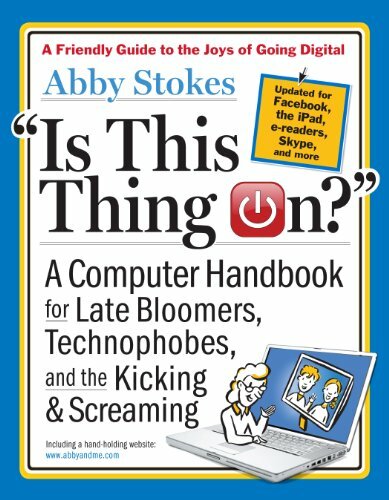 Abby Stokes is the perfect guide to the digital domain: She’s taught more than 140,000 seniors how to use a computer. In an easy, authoritative, hand-holding way, she covers it all: how to choose, buy, and start using a computer. How to connect to the Internet, sign up for e-mail, and use search engines. Plus, how and why to get digital in the first place: the ins and outs of online shopping, banking, travel planning, dating, research; how to take and share digital photographs and videos; how to discover online communities, and use social media sites like Facebook, Twitter, and YouTube; the world of apps, online music, and streaming movies; and, importantly, online security and “netiquette.” There’s information on iPads, smartphones—including the Blackberry, iPhone, and Android—and e-readers like Nook and Kindle. A companion website—www.abbyandme.com—plus a Facebook page and Twitter feed provide easy and safe access to this brave new world.